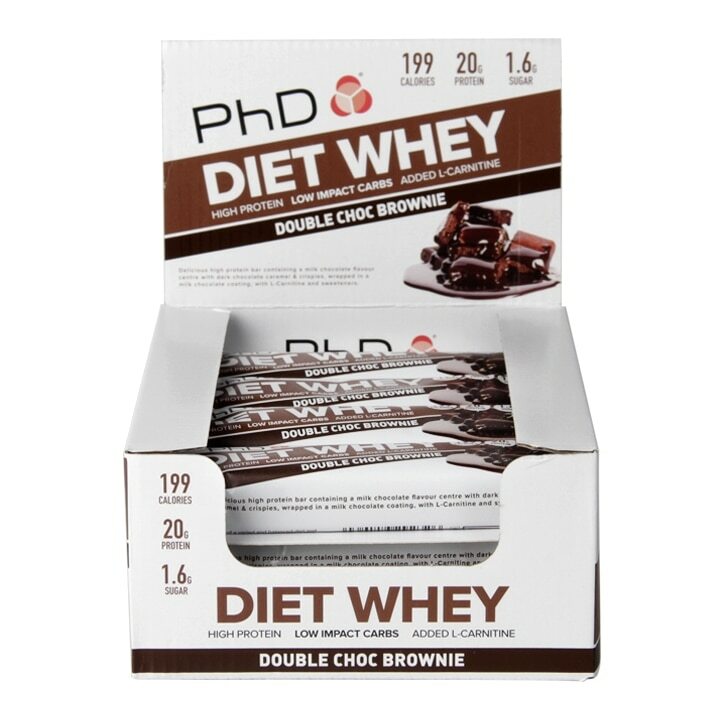 PhD Diet Whey Bar Double Chocolate is rated 4.4 out of 5 by 7. Rated 4 out of 5 by Emma1981UK from Not as nasty as usual protein bars Really tasty. Defo recommend. I am a fussy eater and this protein bar is nice, even for me! Rated 5 out of 5 by V_880 from Chocolately goodness Call me crazy but this tastes just like chocolate ice cream!!!! !